Check out this hilarious video by The Richter Scales called "Here Comes Another Bubble v1.1"
Morgan Spurlock, the director of "Super Size Me", has a new movie coming out called "Where in the World is Osama bin Laden?" due out on April 18th, 2008. Off the heels of my fake celebrity sighting last week today I had a real one. Just took a break from work and went to Starbucks with my co-worker Paul. While we waited on line Paul points out some guy sitting alone and says he is 99% sure that it is comedian Steven Wright! As we walked out we approached him and and confirmed that it was in fact him. We shook his (gloved) hand and told him that we are big fans of his. Then we asked if he was playing in Boston any time soon. Steven: [looking at Mike] And where are you from? Mike: I'm from New York .... Well Long Island ... So "NY Junior" really. Mike: Oh my god, I made Steven Wright laugh! Paul: He was being polite Mike. Steven: No, it was funny. Mike: Awesome, I'm going to write about this on my blog. 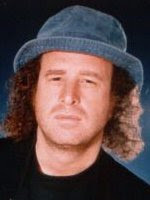 Of course it would be funnier if I didn't in fact have a blog but hey I'll take a laugh from Steven Wright anyway I can get it. It was a real thrill and and he couldn't have been a nicer guy. Incidentally the last (and only other) time I made a celebrity laugh was former Red Sox player Kevin Millar. Perhaps I'll write about that one some time soon. Does your company give you remote access to e-mail through Outlook Web Access? If so your opinion of it will likely depend on which web browser you use. I'm a Firefox user and hate using Outlook Web Access. The interface is most certainly "1.0" (at best) and tasks as simple as deleting or moving messages are tedious. A few weeks ago I was on a PC that only had Internet Explorer and was shocked at the dramatic difference in how Outlook Web Access behaves in this browser. It has a look and feel that approaches the experience of the desktop version! It is completely different. Unfortunately changing the user-agent in Firefox is not enough to get it to work. It is disappointing that in 2008 we continue to have web apps that are written to work for one specific browser. While I was away in San Fransisco for GDC, the U.S. Navy beat the vegas odds and successfully destroyed the damaged U.S. satellite that I blogged about last week. China and Russia are unhappy. But who is going to play Mr. 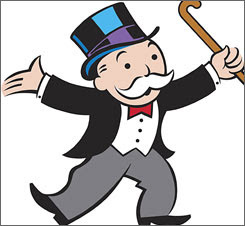 Monopoly? How about Wilford Brimley? And how do you cast a thimble or iron? The Zeemote team was at the Game Developer's Conference in San Francisco last week to announce the launch of the developer program and the Zeemote SDK for Java ME. Monday night we held our launch party featuring a custom Zeemote ice luge and special "celebrity guest" Lara Croft (see image in last post). The party itself was a big hit generating lots of buzz and was even blogged about here. 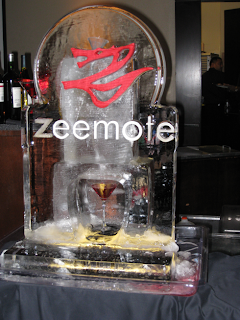 What do a Lara Croft impersonator, an elaborate ice sculpture, and a new drink called the “Zeemotini” have to do with a joystick peripheral for cellphone games? We weren’t sure, but Ripten set out to find the connection when we went to Zeemote party at the W Hotel in San Francisco after the first day of GDC. We were kept extremely busy at our booth giving tons of demos and generating lots of interest. The reaction from gamers, developers, and press has been been exceedingly positive. As engineers it is important that we frequently get out of the office sandbox and demonstrate our products to real people. Strangers are more honest than friends and provide the most useful feedback. One of the most rewarding experiences an engineer can have is to see the positive reactions of a stranger to the product he/she has worked so hard on. All of us enjoyed it. Guess who Paul and I partied with last night? Will post more soon! A damaged U.S. spy satellite, the size of a bus, is carrying toxic fuel and crashing toward Earth! The U.S. has announced that, to help protect lives, the military will attempt to destroy the satellite with a missile before it lands. 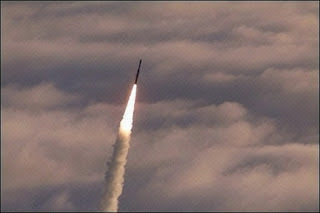 Russia is saying that this is a "veiled test of America's missile defense system". Can't it be both Vladimir? Hope it works! Fox has decided to cancel this season of my favorite TV show "24"! An article on CNN says it is because the season finale would not air until the summer which is notorious for low TV ratings. The announcement comes conspicuously just one day after Joel Surnow, the show creator, quit and less than a month after Kiefer Sutherland was released from jail. Ever copy and paste text under windows only to be annoyed when the formatting gets copied over with it? It happens to me all the time and drives me crazy. Up to this point my hack solution was a two step process where I first copy the text into the Emacs scratch buffer (which strips all formatting) and then re-copy the text from Emacs and paste into the actual target application. Today I finally looked for a better solution and found it! PureText 2.0 is a great windows app that adds a new Windows hot-key (WINDOWS+V by default) that performs paste without formatting. Love it. Media coverage of the Zeemote has exploded! The team is in Barcelona at Mobile World Congress announcing the official launch of the JS1 and they are getting a ton of press coverage from both traditional outlets and the blogosphere (i hate that word). There are two great videos to tell you about. First CNN (yes, that CNN) discussed the Zeemote and interviewed Rob. That video is available online here (You may need to watch a commercial but then you can skip to about one minute in where they start to discuss and show it). The game played like a dream – controlling Sonic with an analogue pad is much, much easier than fiddling with a keypad. This reporter is no gamer, but flying the helicopter in Fishlabs' shoot-em-up game Heli Strike 3D seemed easier with the Zeemote than with the tiny joystick of the Nokia N95 on which the game was running. At the recent Mobile Games Forum 2008 in London, Mike Yuen, senior director of the gaming group for Qualcomm, commented, "The Zeemote JS1 is one of the most innovative devices to come along for mobile gaming, as it greatly helps improve game playability on mobile phones versus traditional d-pads. I look forward to the commercial launch of the product later this year. A software engineer interested in news, technology, programming, movies, politics, entrepreneurship and maybe even a few other things.